Mix Mix Kitchen Bar offers fusion cuisine that combines elements of various culinary traditions, placing itself at the top of the list as a must-see foodie hot spot, and can be found on the corner of Main and 3rd Street in Downtown Santa Ana. Named “Restaurant of the Year” by Orange Coast Magazine and “Best New Restaurant” by Golden Foodie Awards in 2017, Mix Mix elevates the restaurant scene with its globally inspired dining concept and eclectic menu. 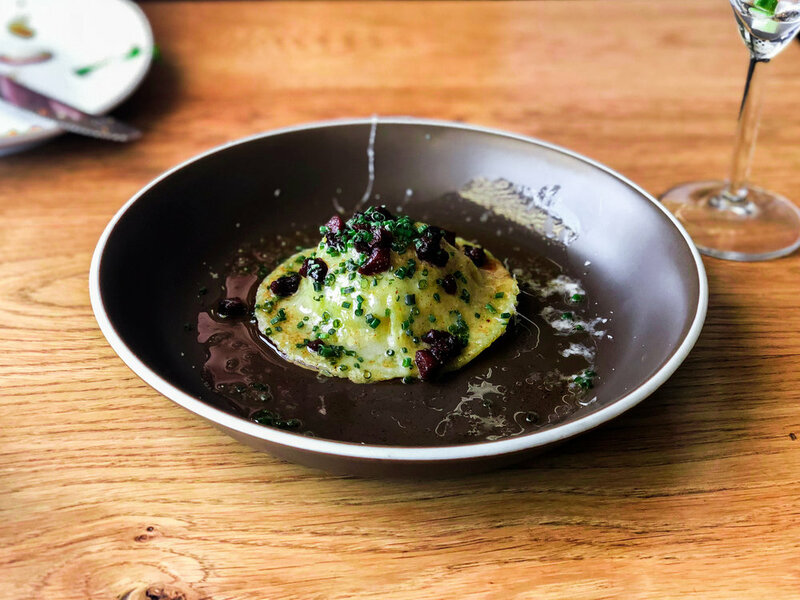 So, start with the Seared Albacore Tostada to get your taste buds warmed up and then move on to the Soft Egg Raviolo for your main course; you’ll be (happily) surprised with where the flavors take you. Finish with the Tropical Verrine for dessert – with the refreshing combination of passion fruit and coconut, the smoothness of the lychee and the crunch of the macadamia nuts, you’ll enjoy a true grand finale of flavor and texture. Insider scoop: Mix Mix also features Brunch from 11am – 3pm on Sundays. Order the Chorizo and Sweet Potato Croquettes and the Salmon Benedict. If you’re feeling extra adventurous, try the Duck and French Toast. Trust us. But whatever you do, be sure to add on the Bottomless Bubbles! *Lunch Hours – Available for special events and private parties. Call to reserve.